'AMERICAN Idol' is launching its Authentic Icon clothing line. 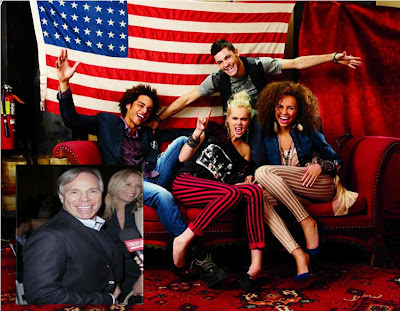 The talent search show recently recruited Tommy Hilfiger (pix) as an image advisor, and is now planning to launch an exclusive clothing collection at Kohl's stores across the US. The line will debut in April and be in stores from June and will feature selections for both men and women. David Luner of FreemantleMedia Enterprises, the production company behind the show, said: "It was a natural extension to partner on a line of American Idol-inspired apparel that captures the essence of our rich music, style and performance heritage." Contestants on the show will model the styles when they appear in the weekly live finals. Rick Darling, president of LF USA - which is helping create the clothes- said: "The 'American Idol' collection will build upon the powerful influence of music and entertainment on today's fashion-conscious consumers." Upon being appointed to work on the series earlier this month, Tommy said: "I am honoured to be joining the 11th season of 'American Idol'.